From the first days of its establishment in 2012, MEA-nl has been focused at the maximum use of naturally available water. To succeed in this approach, an enormous challenge was met. How to facilitate the intake of natural water from all three salinities (matrices)? How to create a tank configuration and piping system that is able to meet any regulatory and customers’ demand? 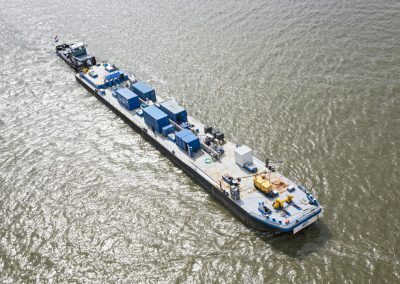 The answer: our test barge the MEA-Innovator. In 2012, the MEA-Innovator went into operation for Type Approval (TA) testing of Ballast Water Treatment Systems (BWTS). 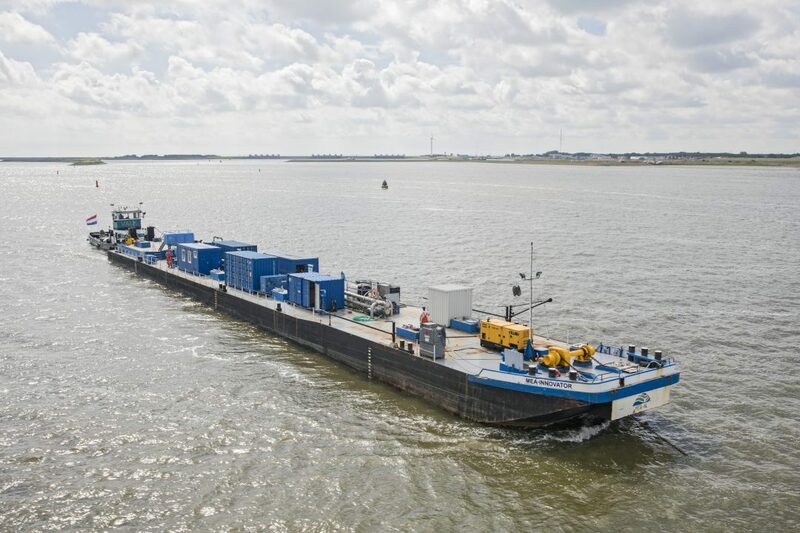 It is modified single-hull inland tank barge, designed and equipped to test each and every kind of BWTS. The MEA-Innovator is self-supporting and has all facilities to perform all possible test configurations. Including the necessary equipment for monitoring and sampling. To move the barge to a particular location (fresh water-Lake IJssel, brackish & marine water-Western Wadden Sea), a tug or push barge is hired. For each test cycle, the water that is taken in is further analysed at our Hydro-biological and our Micro-biological laboratory. The comparison between the intake (challenge) water and discharged water contents answers the essential question: is your BWTS -or other water treatment- effective? 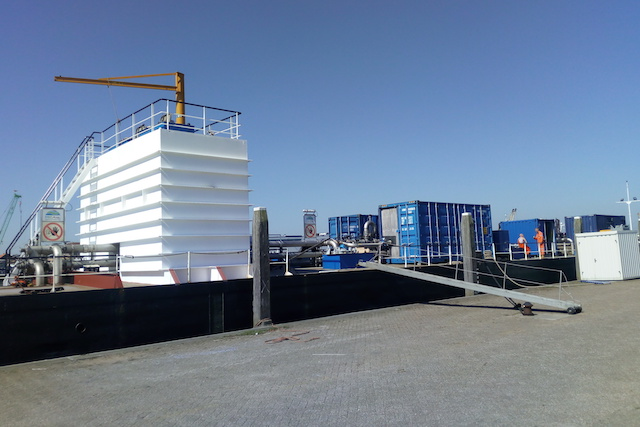 Any BWTS to be tested is preferably containerized in a 20 ft container for optimal transport and operation. The MEA-Innovator can accommodate several systems at any one time to operate in parallel or to offer maximum flexibility to quickly shift between systems and test cycles. MEA-nl’s test activities for ballast water Type Approval (TA) testing usually take place each year from April to November. The exact period of testing is decided by the specific and varying seasonal and climatological circumstances. The Netherlands and its bodies of water are situated at the mouth (estuary) of large rivers. Consequently, the huge variety of sediments and nutrients is continuously deposited, literally, ‘at our doorstep’. 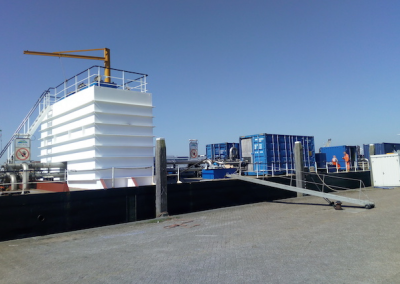 Along with the dazzling variety in biodiversity that World Heritage Site The Wadden Sea offers, we can offer the most ideal challenge water any test facility can dream of. Our location in Den Oever offers many advantages. One advantage was built more than 80 years ago: The Afsluitdijk. Since the 1930’s, the fresh water body IJsselmeer was formed behind The Afsluitdijk. Another huge advantage is offered by Mother Nature herself: because of a deep sea current between the island of Texel and the main land there is a huge influx of North Sea water very close to our premises. 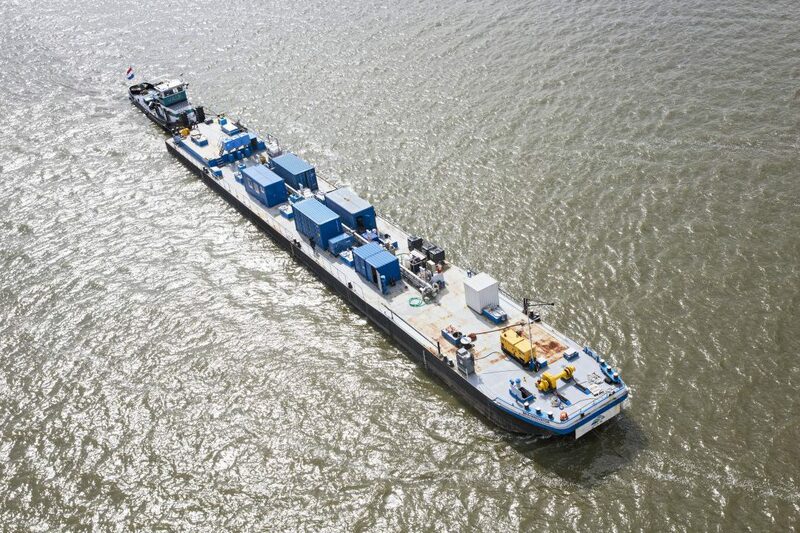 As a result, water of three different salinities is within close reach of our dedicated barge MEA-Innovator. Situated at this ‘crossroads of water’ we can offer this unique approach of water intake and analysis.